Patronyms were generally used before this law. A patronym is the use of a component of a personal name which is the father’s name ending in son or daughter. To give an example, if your father was named Hans, then your name was Hanssen or Hansdatter. Because of differences in language and dialect, there were variations on this: sen or son, datter, dotter or dottir. Remember when you search, use wildcards, such as Hans*. Living at home with his parents, he was Henrik Olsen Uv. He moved to the farm Hoel to work, and was known as Henrik Olsen Hoel. He married and settled on the farm in Storli, and was known as Henrik Olsen Storli. It might be confusing with the change of names, but it gives you more information, we can find where they lived at different times in their lives. If you would like to learn more you will find it on FamilySearch or Lokalhistoriewiki. 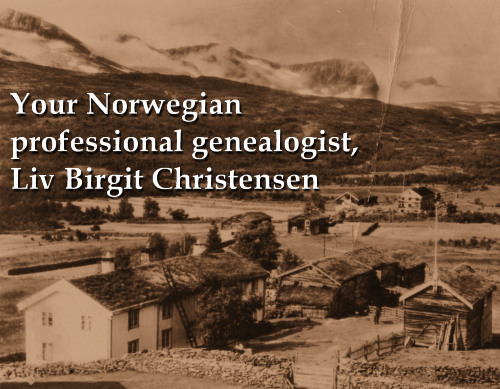 Next Do you want to learn more about Norwegian genealogy?